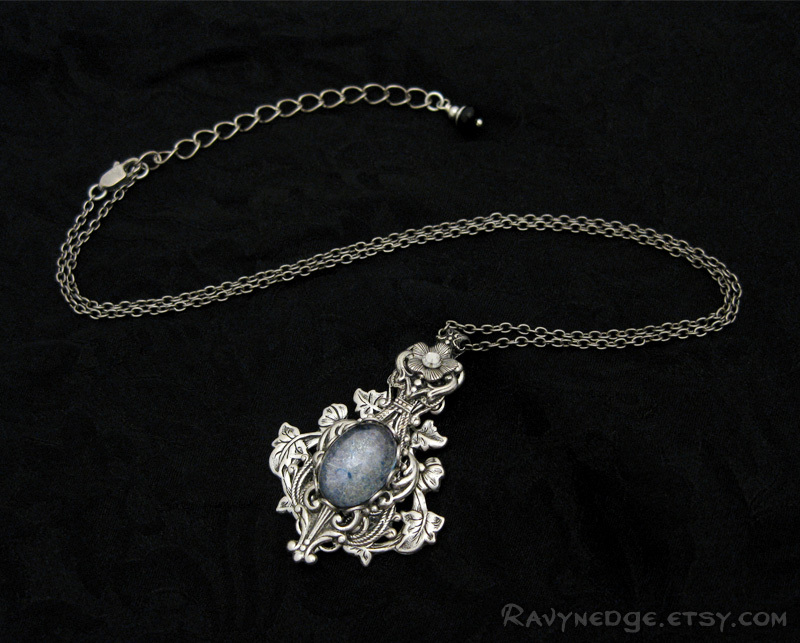 Elven Mystique Necklace - Blue Luster Jewel and Silver Filigree Pendant by RavynEdge. 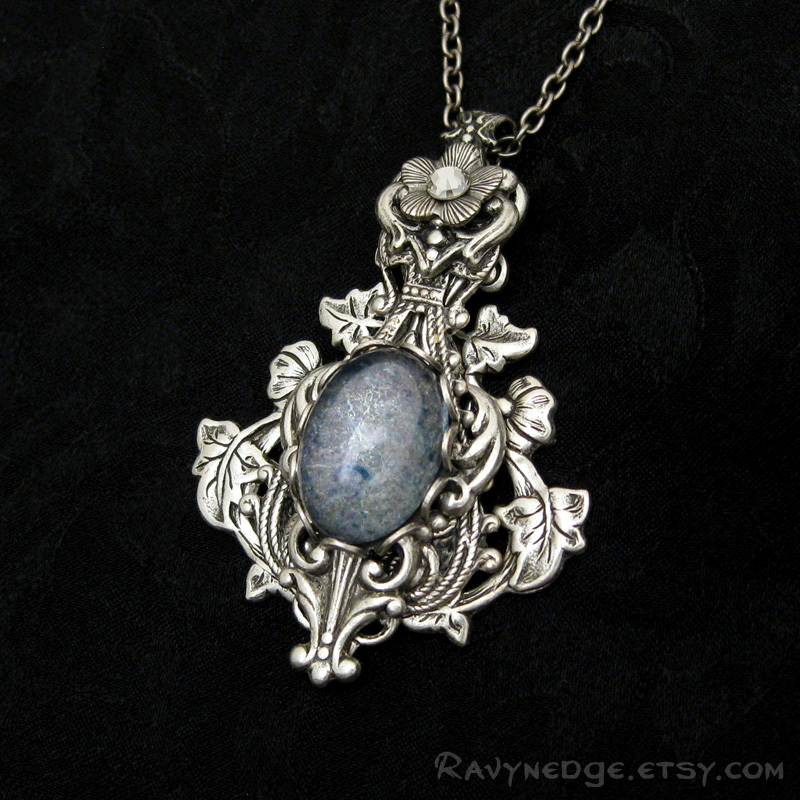 Elven Mystique is as mysterious as it is elegant. 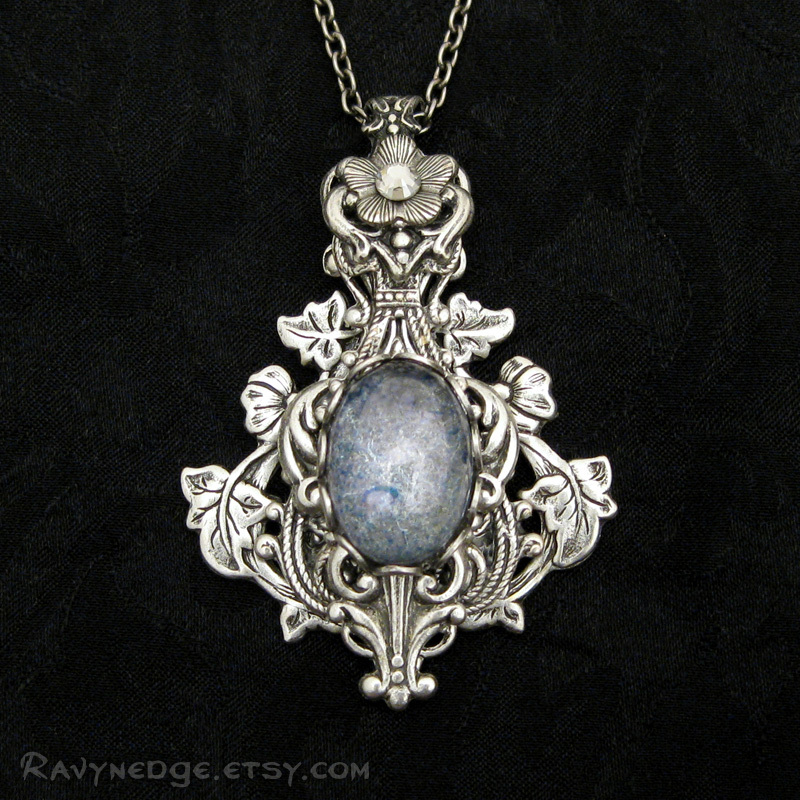 I created this pendant to be petite, yet stunning. 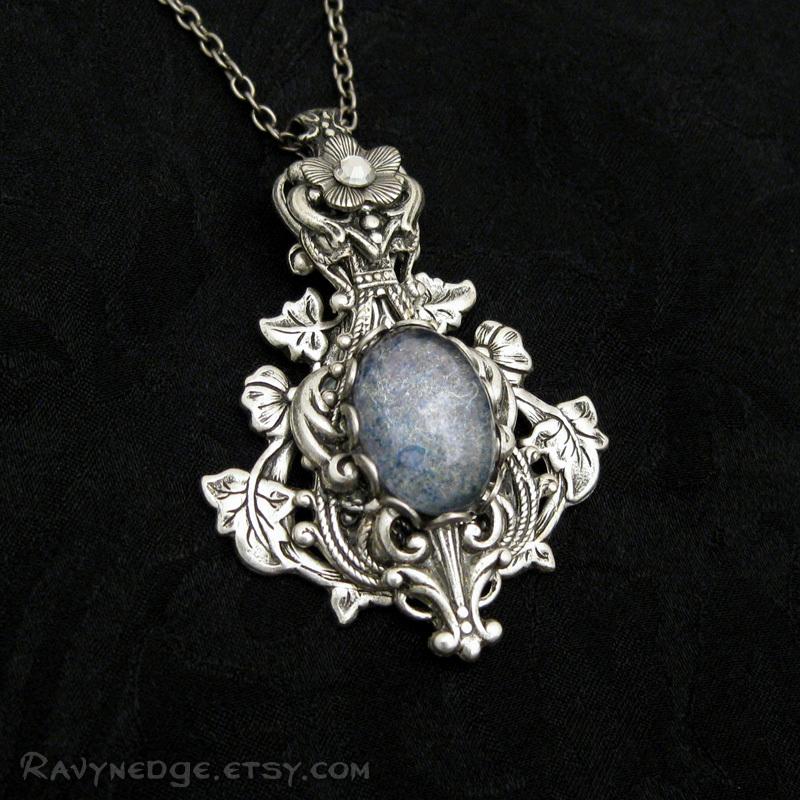 Also makes a great layering piece. 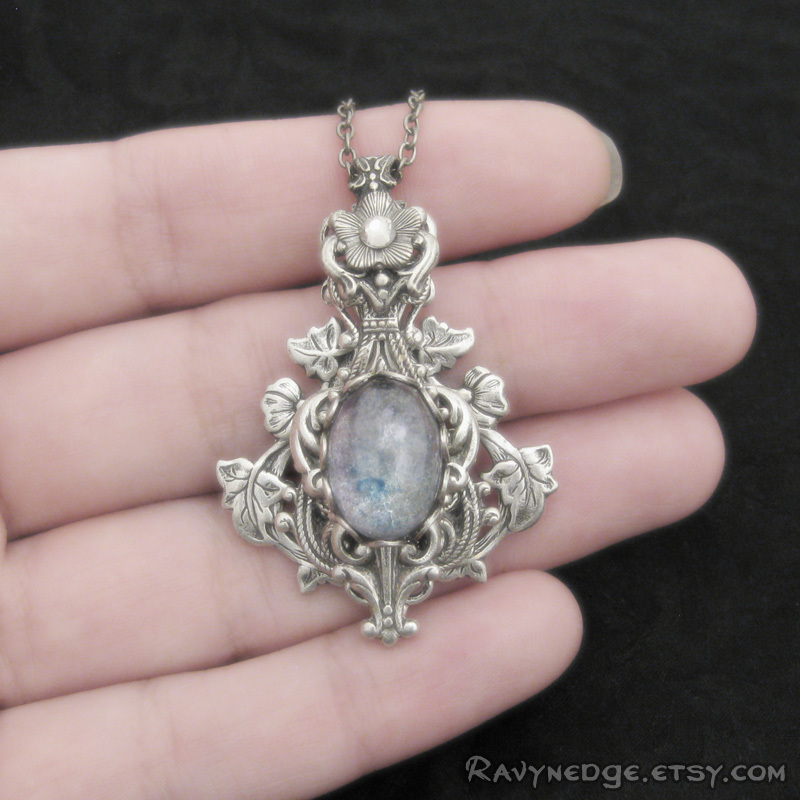 A lovely pale blue luster effect glass cabochon on layers of interwoven sterling silver plated brass vines and accented with a crystal silver shade Swarovski in a tiny blossom. The pendant measures approximately 1.7in (43mm) in height and 1.2in (30mm) in width. Chain length is adjustable from 16 to 18 inches (40.6 to 45.7cm) and closes with a lobster clasp.